The fall and winter seasons are some of the best times of year to drink tea. 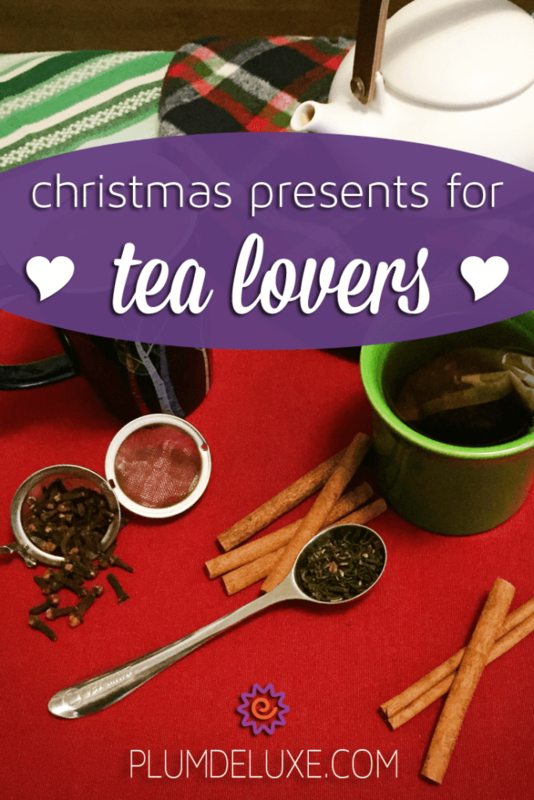 As we approach the holiday season, you might be looking for something a little more special for the tea fans in your life, and start seeking out the perfect Christmas presents for tea lovers. We’re here to help with our special gift guide! 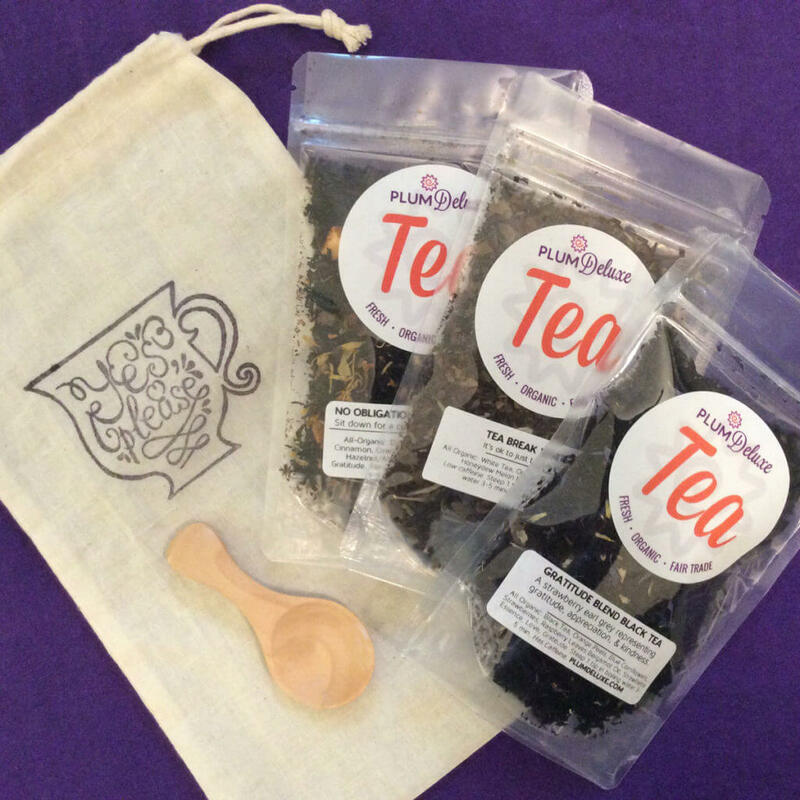 If your friend is just getting started with brewing tea on a regular basis, encourage their new hobby with a Tea Trio Gift Set. 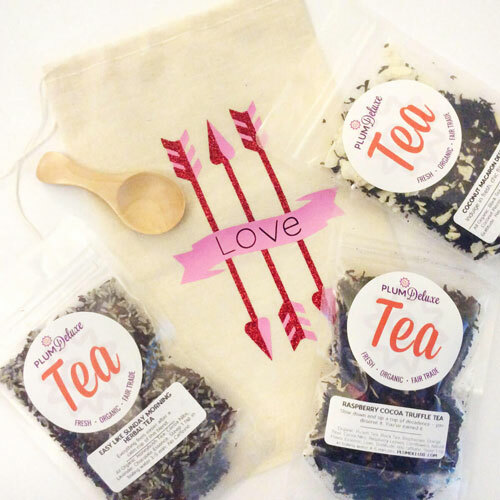 This set comes with three types of tea of your choosing, a wooden tea scoop, and a card, all packaged in an adorable muslin bag. Since this set lets you choose the three teas yourself, you can pick a variety (try a green tea, a black tea, and an herbal tea), or custom-pick a trio based on favorite flavors (all fruity teas, all spicy teas, or all dessert teas). 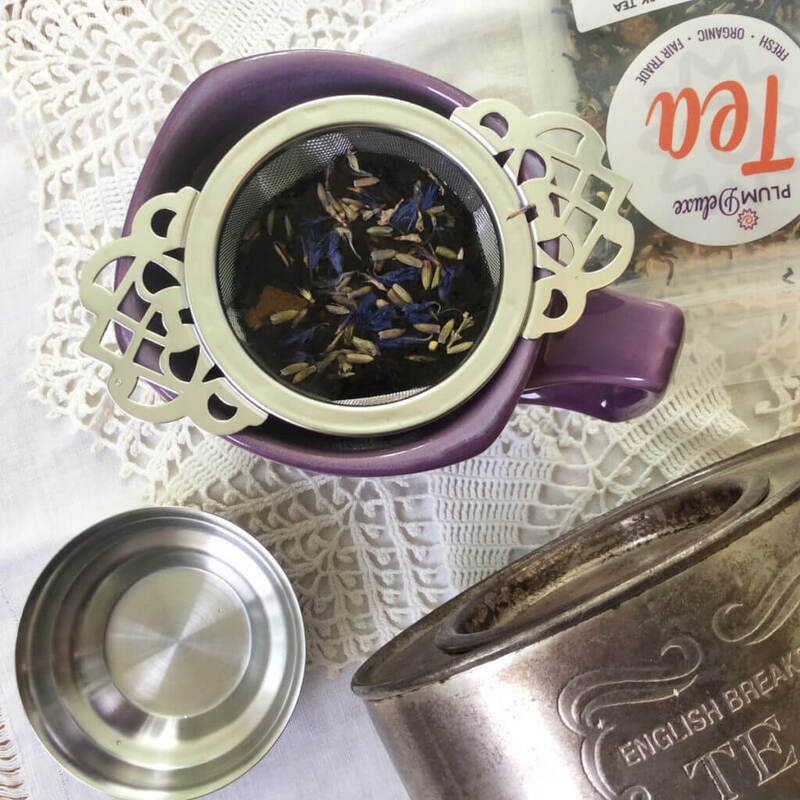 Don’t forget to include a way to brew loose leaf teas with your gift, such as a box of fill-you-own tea bags, or an infuser that fits any mug. Maybe your tea-drinking friend likes to use tea in unexpected ways, and just drinking tea on its own doesn’t cut it. 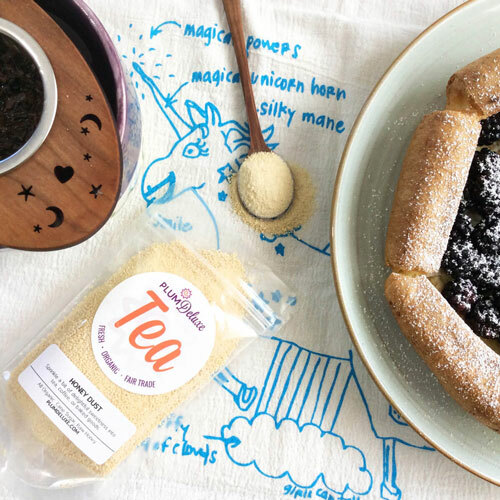 Get them inspired with new ways to use tea, or plan a fun occasion for you two to get crafty together and infuse tea into everything from tea-infused salts, to tea-infused sugars, to tea-infused jelly. Consider getting festive culinary additions, like cloves and cinnamon sticks, which can be mulled not just with tea, but with wine or apple cider. Or get some loose herbs like lavender, rose buds, or jasmine for your friend to mix their own beautiful tea blends right in their own kitchen. Half the fun of any hobby is having the right tools for the task. For a loose leaf tea fanatic, having cute accessories makes the tea drinking experience that much better. For the accessory lover who wants to show their heart on their sleeve, get them a matching set of a heart-shaped tea infuser with heart quartz tassel and an Heirloom Heart Pewter Tea Scoop. If you’re handy with your jewelry box, jazz up a plain tea infuser with a custom metal charm or colorful glass beads to give a one-of-a-kind tea accessory. 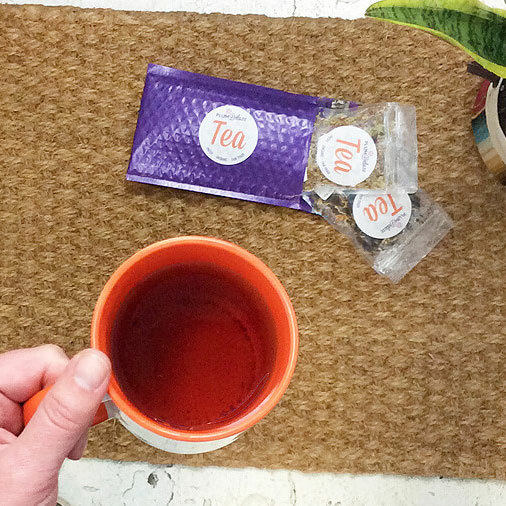 This tea lover will agree that every great cup of tea deserves a good snack. 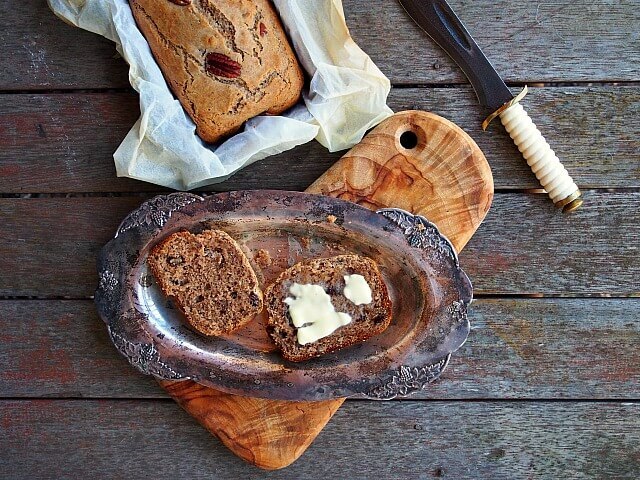 Go beyond the typical tea biscuit and bake a batch of melt-in-your-mouth Earl Grey Butter Cookies or a Maple Pecan Buckwheat Tea Loaf. Take a look at any delectable cakes and cookies in the Plum Deluxe recipe index to whet your appetite. If you want to make the tea and food pairing extra fancy, reserve some seats at a high tea or afternoon tea event in your area. For a special, personal gift, host your own fancy tea session, complete with finger sandwiches and fancy display dishes. This is the tea lover who drinks tea all day, every day. 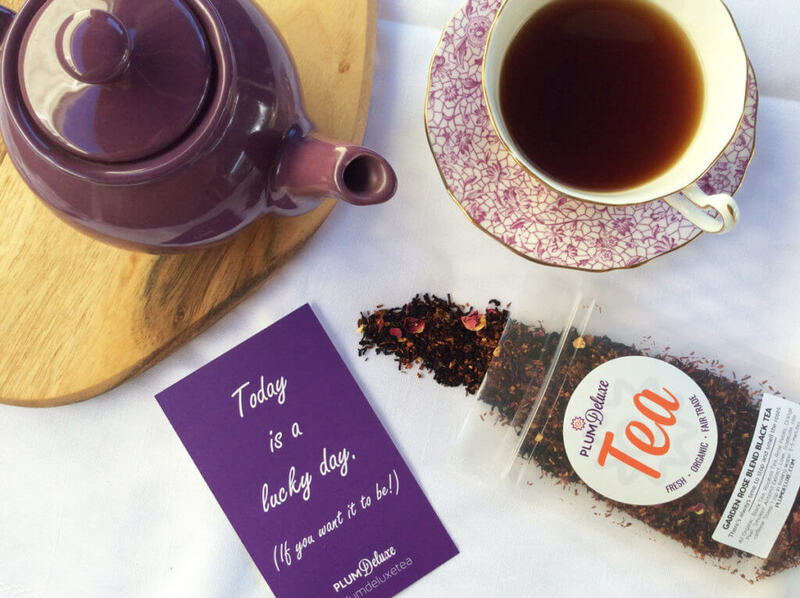 Picking out a tea they haven’t tried is all but impossible, so get them a monthly tea subscription to keep their tea cabinet full with a regular variety of tasty loose leaf tea — not to mention you’ll brighten their day whenever the surprise plum-colored package arrives at their door. Ultimately, the best Christmas presents for tea lovers might just be letting them pick out their own teas — and it’s hard to go wrong with a tea shop gift card!